Our Small Membership Advisory Community was created to connect like-minded professionals and volunteers facing similar challenges in their respective organizations. In our conversations with our Advisory Community, it has become apparent that member recruitment and engagement are top priorities for organizations everywhere. These days, “engagement” can refer to how an individual is engaging online – in terms of website visits, page views, and social media mentions. Even though social media participation is only part of the member engagement equation, it is becoming increasingly important. So we explored how non-profits, associations and clubs use social media to recruit, engage and grow their membership base in a recent Membership Advisory session. One Advisory member said his organization was using social media to “get dialogue going”. However, he noted that their “journeys into social media have been more of a monologue than a dialogue.” He admitted that this may partly be because they use social media mainly for announcements. Many organizations (including Wild Apricot) often get into the habit of broadcasting out information they want members to see – but have trouble getting a two-way conversation going via social media. If you and your organization are just getting started in trying to use social media to engage your members, here are some of the highlights from our Small Membership Advisory Community session that might help. Here are seven of the key insights shared during our Advisory Session on social media. Make announcements at events and at your annual general meeting. Like any other form of communication, the success of social media is reliant on having an understanding of your audience. If you’re running a membership organization or non-profit, you may already have a pretty good idea of who your members, potential members and supporters are. But take steps to find out where they are “hanging out” online and what their habits are. Adding a “social media account” field in your membership application form; or sending out a quick survey could do the trick. What channels does your audience use the most? What times of the day would they likely be on social media sites? Knowing your audience will allow you to curate valuable content, create incentives and start discussions – all of which, will keep them coming back for more. Many non-profits, professional organizations and clubs run on the hard work of volunteers. Resources and time are valuable commodities, so focus on social media channels that will really benefit your organization. Putting time and effort into creating a strategy for 1-2 channels can be more effective than just dumping content into every social media channel available. As with most things in the world of technology, social media is always changing. Take the time to consider which social media channels are out there, and which ones would better suit your organization and your audience.The most popular social media networks like Facebook, Twitter, Instagram, YouTube and LinkedIn all have unique features and properties that would suit certain audiences over others. For example, Facebook is often used as a platform to connect with friends and share photos, while LinkedIn is a place where professionals come together to network and learn. This means that the type of content that you post on these social networks and the type of reaction you can expect will differ as well. For example, folks may like, share or comment on a fun post on Facebook, but will think twice about what they say on LinkedIn since it is their professional network. Since many people go to Facebook for entertainment, mix “fun” content with useful info. Find that balance. One Advisory Community member told us that YouTube worked very well for her organization. Since they held many events, they discovered that YouTube’s Photo Slideshow feature was a great tool for uploading and sharing multimedia slideshows of the pictures taken at the events. Another Community member noted that her organization mainly uses LinkedIn to let folks know about events and campaigns, and uses Twitter to let chapter members know about what’s going on. For more information and details on each of the major social media channels read Active Endurance’s post: Explaining Top Social Media Channels. Another piece of advice was to integrate social media with other tools and marketing strategies. For example, don't just post on Facebook – send an email blast with a link to a Facebook event. Use multiple channels to cover all your bases and make social media one part of an overall marketing strategy – not the strategy itself. Making members and stakeholders aware of your online presence can begin offline. Use your events, annual general meetings, luncheons and gatherings as opportunities to let your audience know that they can ‘like’, ‘follow’ and find you online. Publicize the kind of content they can expect and urge them to extend their networking and bridge-building to your online platforms. Social Media channels (especially Facebook and Twitter accounts) rank very highly in search engine queries. This means that having a Facebook Page, or Twitter handle, can be simple ways of helping folks find your organization online when they are conducting Google searches. At the very least, complete your social media profile page with basic information about your organization (logo, mission, values, phone number, web address etc.) to help drive people to your organization. Content is king both on your website and on social media. Having a large following on your social media channels won't last long if you're not putting out relevant content. But we know that curating and publishing that content can take up a lot of time and resources. Get a team together. Recruit volunteers who are active on social media to contribute links, articles, videos and posts that they think other members would find interesting. This way, you're collecting lots of content from diverse sources, that you know will interest your audience. As mentioned above, your organization is likely being run by hardworking volunteers. So, finding ways to automate certain social media related tasks can be a big timesaver. Social media management tools like Hootsuite can schedule content publishing over multiple social media channels including Facebook, Twitter and LinkedIn. They offer a free account that provides much of the features you would need. Check out Steve Dotto’s great Hootsuite Tutorial Video to get started. During the session, Veronica Avila, Co-chair of Social Media for The Alliance for Women In Media - Southern California Affiliate (a professional organization that offers “empowering career development”) offered many great examples of how they engage with members using their social media channels. Appointed a dedicated Social Media Chair and Co-chair that are responsible for creating and following through on social media strategy. Created a social media calendar that helps structure and plan for future content, yet leaves room to be flexible for unforeseen circumstances. 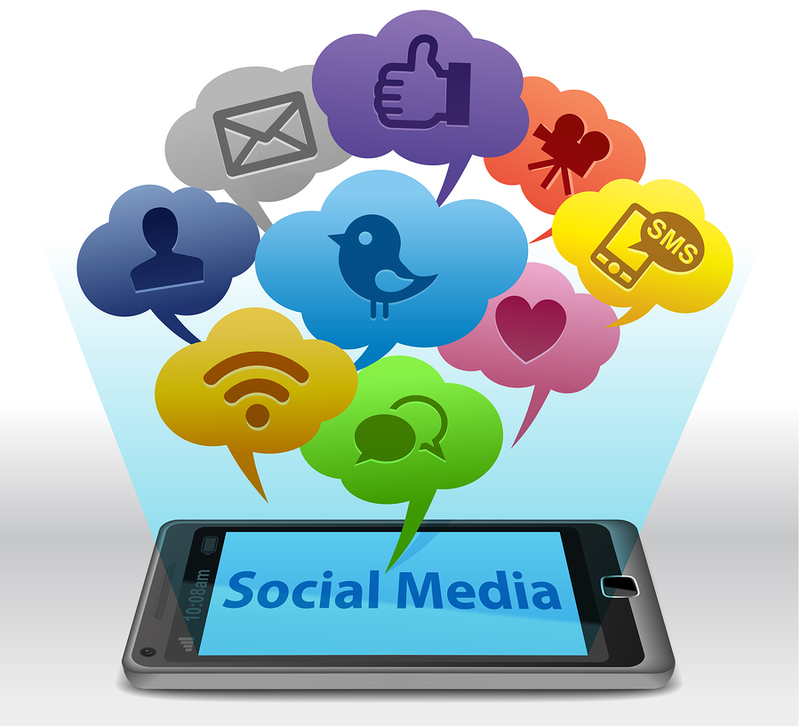 Have you been inspired to ramp-up your social media presence to get your members more engaged? Let us know your thoughts in the comments below.